Our private, tailor-made service offers bespoke tours throughout the Peloponnese and Greece. Perfect for groups of friends, or a family, Tailor-Made Tours can design and deliver a tour to your individual requirements, from start to finish. Whether you have a specific itinerary in mind or just a few ideas about the types of places you’d like to go to, we’ll work with you to plan a holiday of a lifetime. Whilst some of our customers want to base their tailor-made experience on one of our standard tours, with a few additions or alterations, others wish to do something completely different. Of course all of our tailored tours are still true to the Climb Up spirit: your group will travel through the back roads in our luxury mini coaches and you’ll have truly unique, authentic experiences, from the food you eat to the accommodation you stay in. 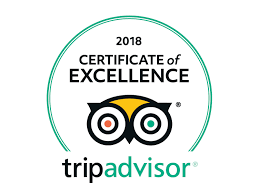 Your driver/private tour guide will be an integral part of the experience and will be on-hand to ensure all of your personal requirements are met. You can literally sit back and enjoy the ride, safe in the knowledge that all of the planning and logistics have been taken care of. Why Go On A Tailormade Adventure? No Set Departures: Travel when you want. Your Own Group: Go with who you want - anywhere from 2-20+ people. Your Style: Journey at the pace you want, from action-packed to leisurely. Your Budget: Customized to suit your passions, interests and pocketbook. Personalization, Choice, Flexibility: Because one size doesn't fit all - especially when travel is involved. What makes a Tailor-Made tour? What kind of activities can I combine?